Call of Duty WWII Guide - What can you do in Headquarters? | PowerUp! Call of Duty WWII may have gone back to the franchise’s roots for its era, but it’s certainly contemporary when it comes to features. 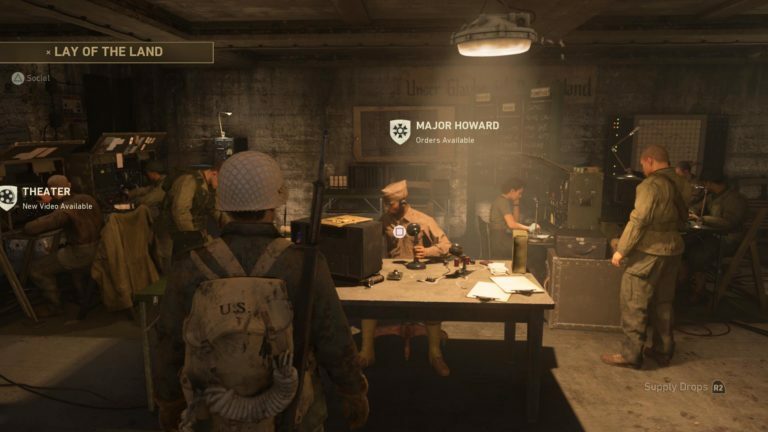 One of the biggest additions to Call of Duty WWII is the Headquarters. Like Destiny’s Tower, Headquarters is a social space where players can queue for games and take part in a variety of mini-games and other activities. But what exactly can you do in Headquarters? Let’s find out. 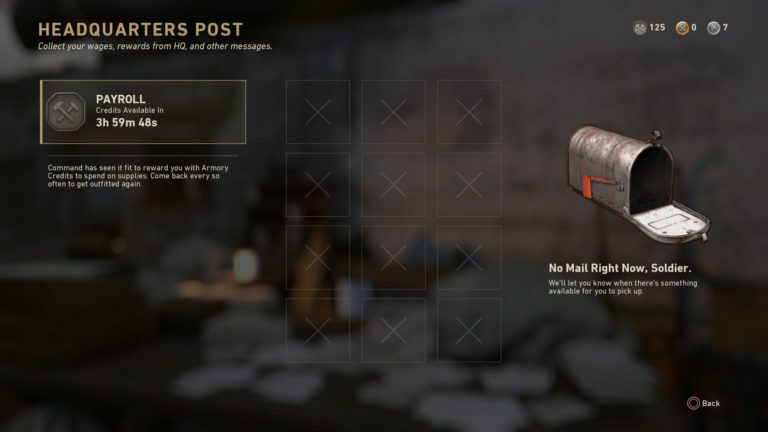 At the Headquarters Post, you’ll be able to collect your Payroll Credits every 4-hours as well as any packages or items that have been delivered instead of being added to your inventory. This is just like Destiny’s Postmaster and ensures you won’t miss any items. 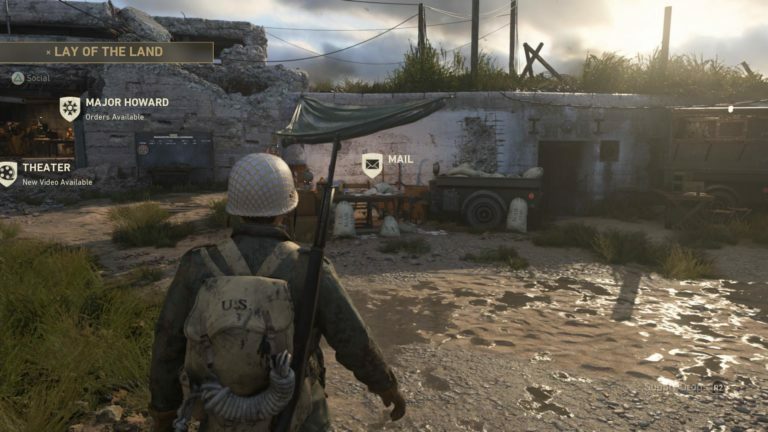 The Headquarters Post is located directly in front of you when you spawn into Headquarters. Completing Orders can net you some pretty great rewards like XP boosts, Weapon Boosts and the like. These boosts are usually timed, but their timer will only count down while you’re in-game. There are daily and weekly Orders available. Daily Orders are easier to complete and offer lower tier rewards. Weekly Orders require a lot more effort, but the rewards are much more significant. Finally, there are Special Orders which will grant you the best rewards and are only available once. Headquarters’ Theatre is a location for players to watch both live and video-on-demand in-game. The live videos will be broadcasts of Call of Duty’s MLG matches. They will be live-streamed to Headquarters’ Theatre in addition to their usual streaming to Twitch etc. 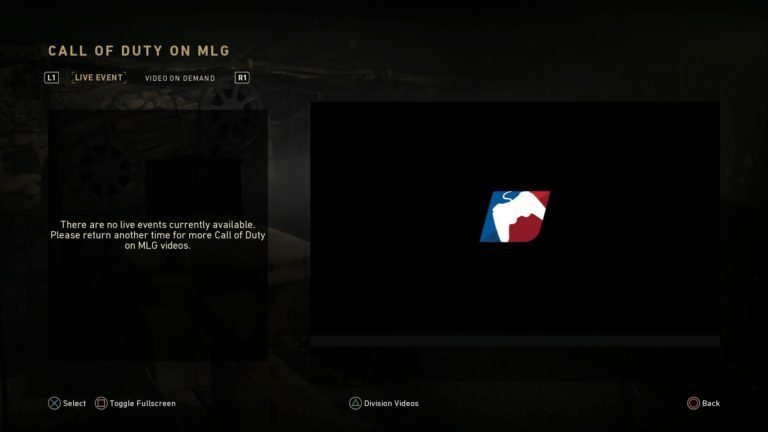 Video-on-demand includes trailers, behind the scenes looks, informative videos regarding upcoming MLG seasons and much more. The Theatre can be viewed in full screen or s the actual screen in Headquarters. 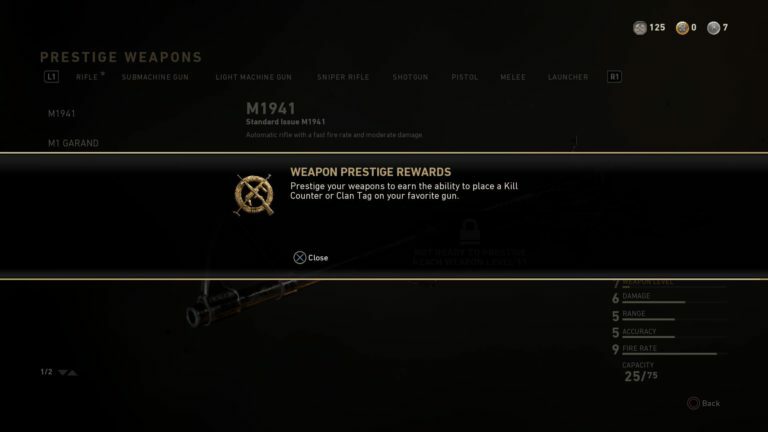 Once you prestige a weapon, you’re able to add a Kill Counter or Clan Tag to it. At the time of writing, the custom paint jobs were unavailable. On the beach, on the opposite side of Headquarters to the Post and Major Howard is the Scorestreak Training. 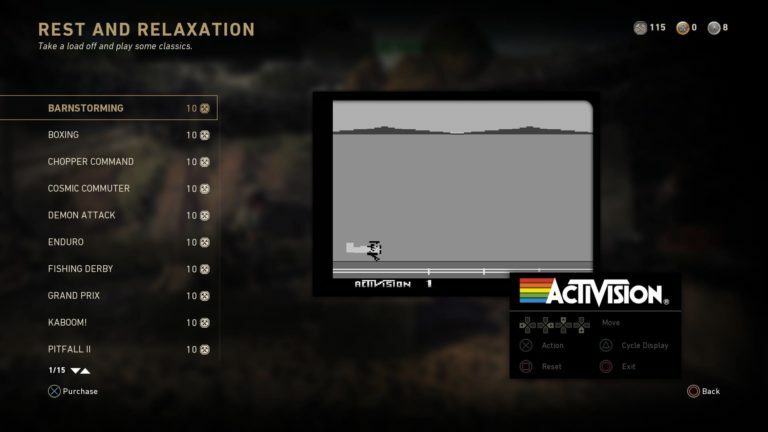 Here you can choose from all Scorestreaks and practice using them so you have a feel for how they work when you jump into multiplayer. This is a great idea as it helps players understand their Scorestreaks and not waste them in the heat of battle. The R&R tent lets players try out some old-school Activision titles. Included are games like Pitfall II, River Raid, Boxing and Chopper Command. Each of these titles costs 10 credits per turn. These classics are all really tough and will definitely challenge even the best players. Try and get a high score and see if your friends can beat you. The Emblem Gallery allows players to design, upload and download custom emblems to use for their profile. At the time of writing, creating custom emblems was live, but sharing and viewing those made by other players was not yet functional. Emblems are a way to make your profile your own or to rep your clan. 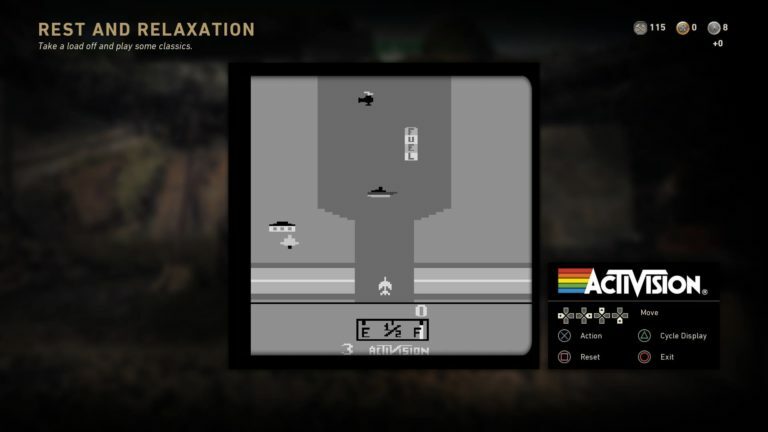 The most creative emblems usually take hours to create using the in-game editor. Those are the ones that leave me wondering how they were even done. The Division Prestige allows players to prestige their division once they reach a certain level. 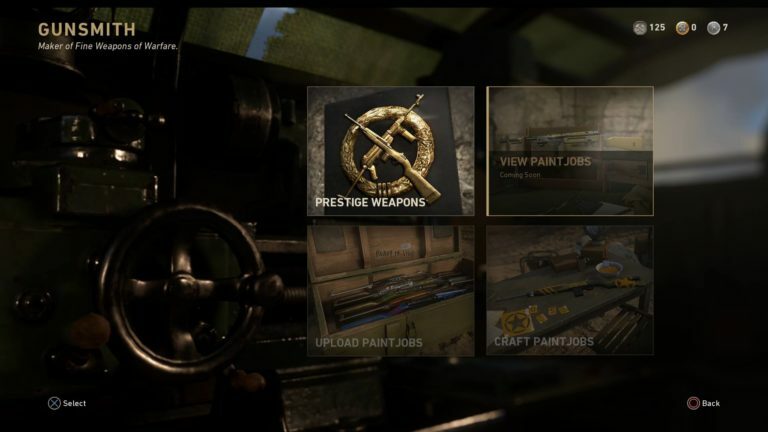 Each of the five divisions can prestige and in doing so players will access unique weapons, additional Basic Training, special uniforms and more. The first Prestige for each Division unlocks once you have reached Level 4 with the Division. 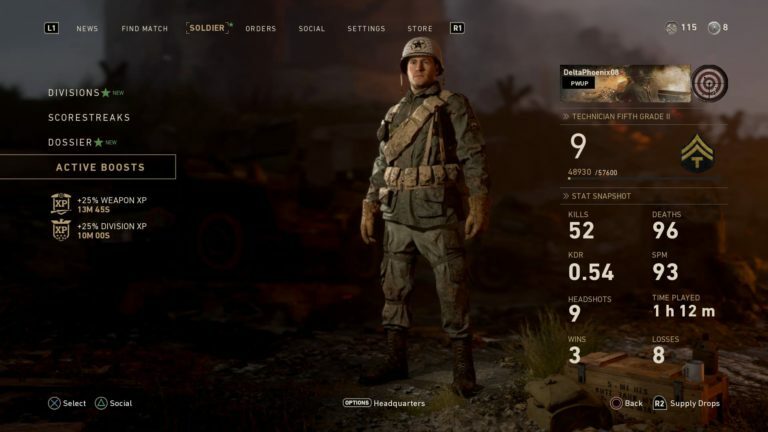 In Headquarters, you can also Prestige your character once you reach a certain level. If you are not a high enough level you won’t even be able to speak to the officer in charge. Scattered around Headquarters are scoreboards. By interacting with them you are able to take part in 1v1 and other matches rather than by searching through the menu. 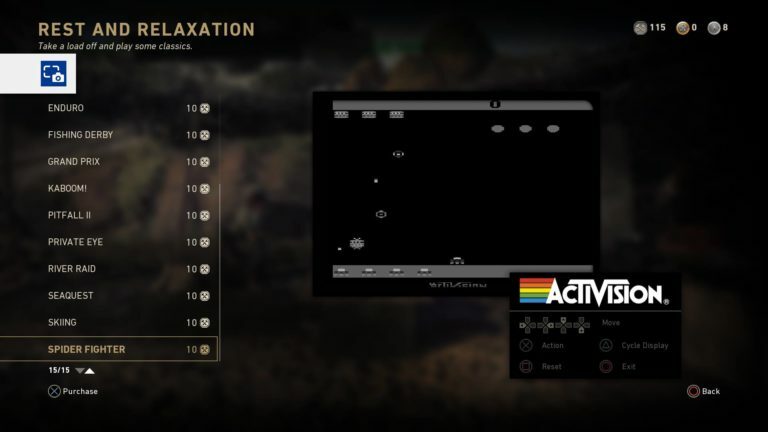 Headquarters is a social space for Call of Duty WWII players and is a departure from previous titles menu only system. 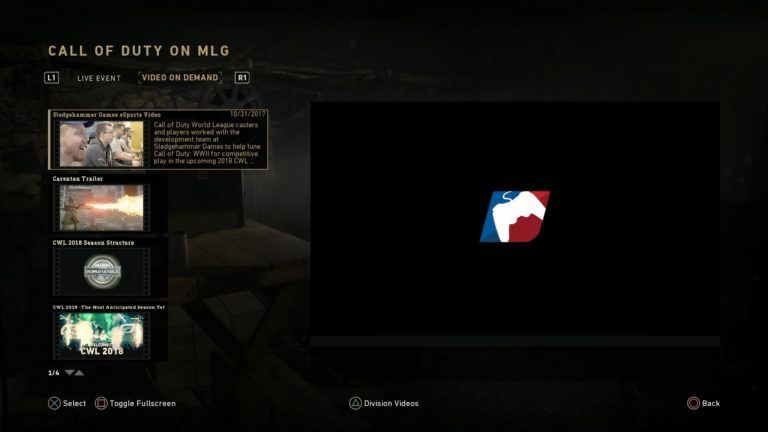 While it’s wholly unnecessary, it’s a welcome addition and one that makes Call of Duty WWII feel more rounded and more of a community. Call of Duty WWII is available now.